Learn how the Guinness brewery created the Guinness Book of Records, and how the book became a world-beating brand in its own right. Marketers of a certain age will remember the joy of encountering the Guinness Book of Records for the first time. Usually that initial read was a well-thumbed copy at a local library. On the surface there’s little connection between photos of people with long, grotty fingernails and stout beer. The fact that both brands share the same name might be merely a coincidence. The true story, though—the astonishing story, is that the Guinness Brewery was directly responsible for creating the book of records. The master brewers at Guinness, in fact, had a controlling interest in the brand until fairly recently. Here’s how an argument about bird hunting evolved into a worldwide phenomenon. Sir Hugh Beaver was the Managing Director of the Guinness Brewery in the 1950’s. On November 10, 1951, he went bird hunting with a group of friends. Beaver missed a shot at a golden plover and attempted to explain the miss by pointing out the plover is the fastest game bird in Europe. His hosts disagreed, claiming the red grouse was the fastest bird. In the era of smartphones and Google the argument would have been brief. Back then, though, the party soon realised there was no one reference book that could resolve the argument. Beaver reasoned that there must be hundreds of similar questions that arose in pub conversations. The fastest, the tallest, the oldest—arguments that, like the grouse v. plover conundrum, could not be easily settled. He reckoned that a book of records would be a way to settle these pub bets and might be a good marketing tool for the brand. Guinness employee Christopher Chataway recommended that Beaver turn over the record-collecting task to Norris and Ross McWhirter, twin brothers who ran a fact-checking agency out of London. Beaver commissioned the brothers in August of 1954 to begin compiling the first Guinness Book of Records. The brothers McWhirter researched and compiled the first book in 13 90-hour work weeks, plugging on through weekends and bank holidays to complete the volume. Guinness arranged for 1,000 copies to be printed and distributed for free in pubs throughout Ireland and the UK. The original free run was so well-received that Guinness secured office space for the brothers to work on a new edition of the book. Guinness funded a run of 50,000 books, not as giveaways but to be sold to the public. The official first edition launched in August of 1955 and topped the British best seller lists by Christmas. The next year, the U.S. edition sold an additional 50,000 copies. Guinness sold 500,000 copies of the book by 1960, each featuring the brewing company’s iconic logo. The book became firmly established as its own brand in the 1960’s. French and German editions hit the best-seller lists in their respective countries. By 1966, 1.5 million copies had been printed across languages, and the McWhirter brothers were committed to releasing annual revised editions. In 1967, Guinness founded a printing company, Redwood Publishing, to print editions of the book. Redwood expanded to other titles and by 1971 was printing one out of every nine books produced in the UK. In 1974, The Guinness Book of Records set a record of its own: It became the biggest-selling copyrighted book in history, with over 23.5 million copies sold. The first television series based on the Guinness Book of Records aired in 1972. The show, Record Breakers, racked up 276 episodes during its 29-year run. Television shows were also produced in the United states, New Zealand, Sweden, and throughout Europe. Guinness also capitalised on new forms of media. In 1990, they released the Guinness Disc of Records, a CD-ROM version of the book with embedded audio and video. 1990 saw the opening of the first stand-alone Guinness World of Records Museum as well. Throughout the noughties, franchise museums were opened in a dozen cities worldwide, each featuring displays based on the book. The company launched guinnessworldrecords.com in 2000, then became early adopters on Facebook and YouTube in 2007. Currently the brand has over a million Facebook followers and 1.5 million subscribers to their YouTube channel. The Guinness World Records brand remains a worldwide phenomenon to this day. The brand is synonymous with the concept of a world record—any attempt to break a world record seems incomplete without Guinness’ verification. The company still maintains a cadre of adjudicators worldwide to verify records and add them to a massive database, and continues to publish a new print volume annually. 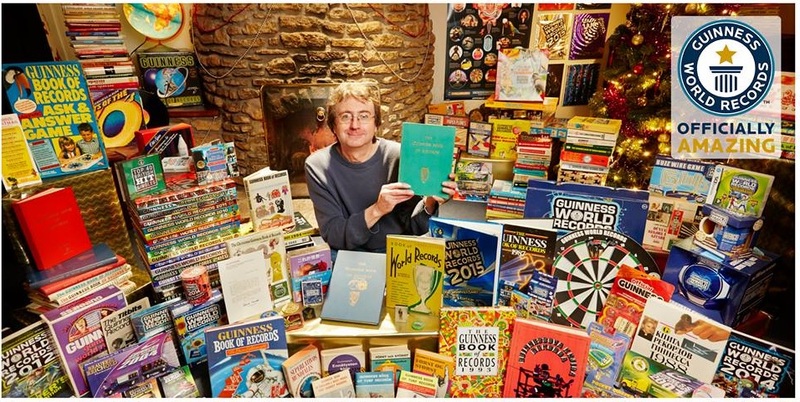 Superfan Martyn Tovey (UK) has the world's largest collection of Guinness World Records books and memorabilia. Make Content a Profit Centre: Guinness created the guide as a giveaway, but quickly saw it had inherent value. When you produce high-quality content, don’t shy away from charging for it. Encourage User-Generated Content: Guinness started by cataloguing existing records, but quickly began accepting new submissions. They created formal process and procedures for making a world record attempt. The promise of possibly being included in the book is enough to encourage people to make attempts, and each attempt generates free publicity for the book. Know When to Outsource: Sir Hugh Beaver didn’t try to write the book himself, or have his marketing department become publishing experts overnight. He outsourced content creation and distribution. That decision led to more robust content and a wider reach. Explore Video Content: The Guinness World Records TV shows were a natural extension of the brand, bringing the print content to life. The brand was an early adopter on YouTube for the same reason. Guinness World Records began as a content marketing gambit from the Guinness Brewery. The records book they created quickly rose from marketing giveaway to best-selling book to a smashing multimedia success. Sixty-three years on, Guinness is still regarded as the ultimate authority on world records. 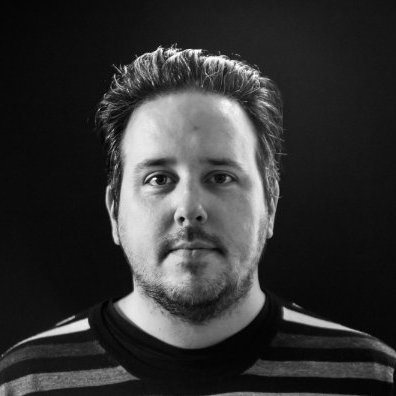 That’s a truly astonishing tale of content marketing. Read more pulse-pounding, blood-quickening accounts of exceptional content marketing in Astonishing Tales of Content Marketing. Image Credit - Guinness World Records Facebook Page. Are headlines declaring the death of things dead?